Chronic pain afflicts millions of people in the U.S., with many turning to injections, addictive pain medications and invasive surgeries to resolve their pain issues. However, these solutions don’t always work and can even cause moderate to severe complications. Surgeries can further complicate issues by damaging tissue and nerves, and addictive pain medications can keep you going back to using them for even the slightest of aches. Surgeries and medications can also prove expensive. But there are other ways to manage pain that don’t require surgeries, medication or steroid injections. – A massage will not only reduce stress but also relieve tension in your muscles and the pain tension causes. Massages are perfect for people with chronic back and neck pain. – A balanced diet isn’t just healthy for your waistline. A healthy diet rich in nutrients but low in fat and sodium can facilitate healthy body processes, aiding your digestive system, keeping bones strong, etc. and can reduce pain in the process by keeping muscles and bones strong. Exercise might be painful if you experience symptoms of chronic pain, but exercising with a routine tailored to your symptoms can actually block pain. Exercise releases endorphins which blocks pain receptors, strengthens muscles and prevents re-injury and additional pain from occurring. Consult a doctor first to develop an exercise routine that won’t exacerbate your pain issues. While helpful, these might not be enough to solve more complicated pain issues. 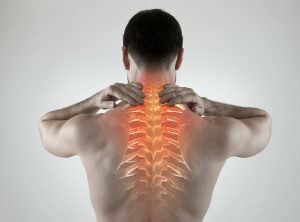 Fortunately, you can manage your pain successfully, regardless of how severe it is, with LaserTech’s pain-relieving techniques. It may sound too good to be true but at LaserTech we’ve developed proprietary methods that are consistently improving results. We’ve spent countless hours researching what treatments and protocols, once combined, are able to effectively treat our patients’ neurological and musculoskeletal pain conditions. We’ve made it our goal to try to keep patients from invasive surgical procedures when possible. Providing Phoenix, Arizona residents with pain-relieving technologies and therapies that will reduce or eliminate your pain; no drugs, steroid injections or surgery required. Find pain relief when other treatments have failed to yield results. Contact LaserTech today at (602) 633-1063 to get treatments that don’t just mask your symptoms, but go after the source of all your pain.